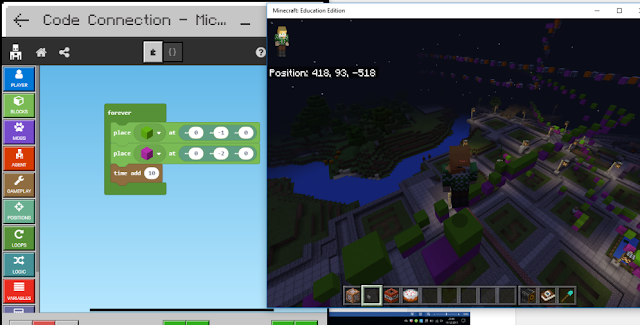 Points to not the first coordinates are x they are the blocks left to right of the player. 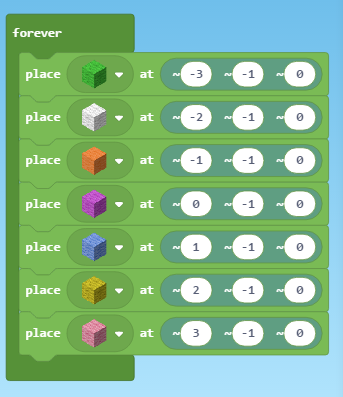 Pink is directly where the player is set x-1 is left one block and so on. X +1 is one to the right of the player. Furthermore the second cooordinates Y are all -1as they are all set to 1 below the player. Thats it! 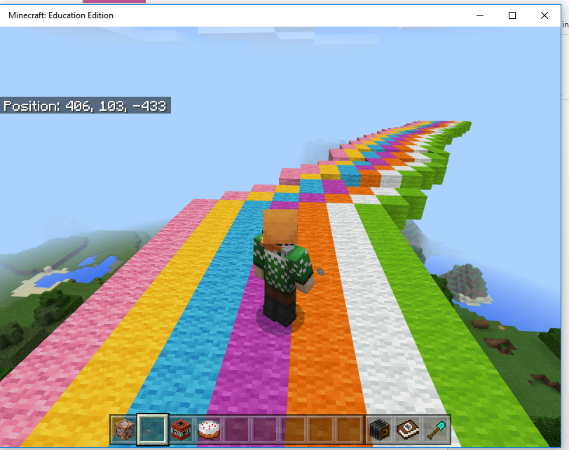 well done you have extended your code to walk in colourful style.